While locals call the area at large Sunny/Wood, adjacent Sunnyside and Woodside are actually separate neighborhoods with different vibes. Built up in the 1920s and '30s, Sunnyside has a rich Irish history, although it has grown more diverse over the years. Its centerpiece is the historic Sunnyside Gardens, one of the first planned communities in the U.S. and home to the lovely members-only Sunnyside Gardens Park. More urban in feel, Woodside is home to the Big Six Towers apartment complex with a shopping area and playgrounds, as well as other large cooperative communities. Both Queens neighborhoods are super-kid-friendly and boast lots of families attractions including bargain shopping, a plethora of parks and playgrounds, a wide variety of ethnic restaurants, and two lively local parent listservs: Sunnymoms and Woodside Families. 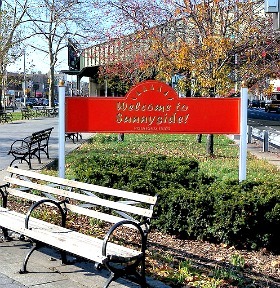 We hope our guide to Sunnyside and Woodside inspires you to get to know the neighborhoods with your family.